This job started with an estimate performed by our lead estimator Robert Garnier. 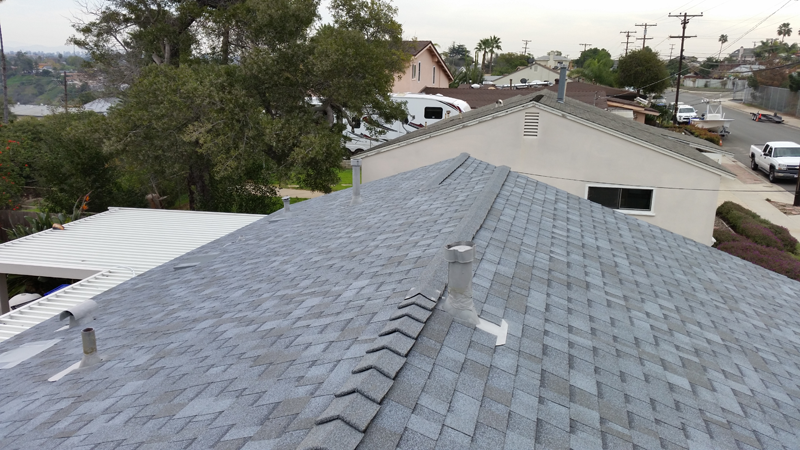 We started by removing one layer of asphalt roof shingles and then provided options to the customer for a roofing recover or full asphalt roof removal. With a recover they would have saved $720.00 but those warranties are only a 10 year labor and material true protection warranty. We also offered them a re-roof that would provide them a transferable 50 year warranty. 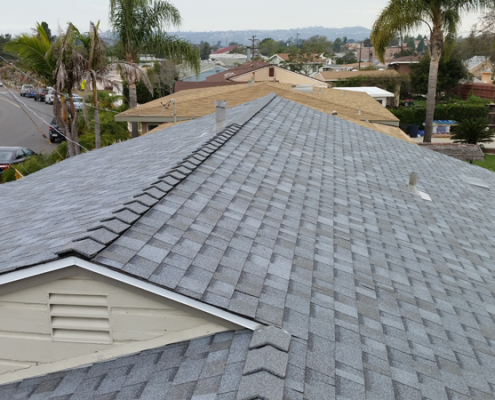 Seeing the small cost difference and the large warranty difference, they went with the 50 year roofing warranty. 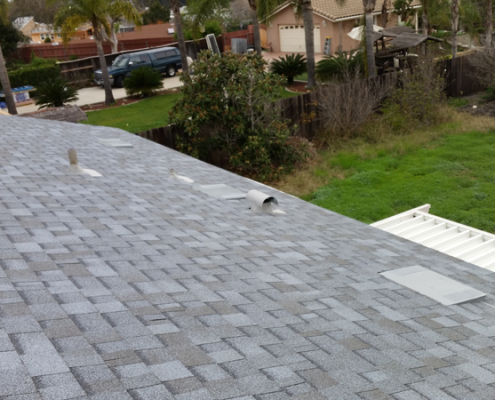 The roofing process consisted of installing Owens Corning Deck Defense synthetic underlayment. The edges are flashed with a 26 gauge galvanized and powder coated 2” metal edge. 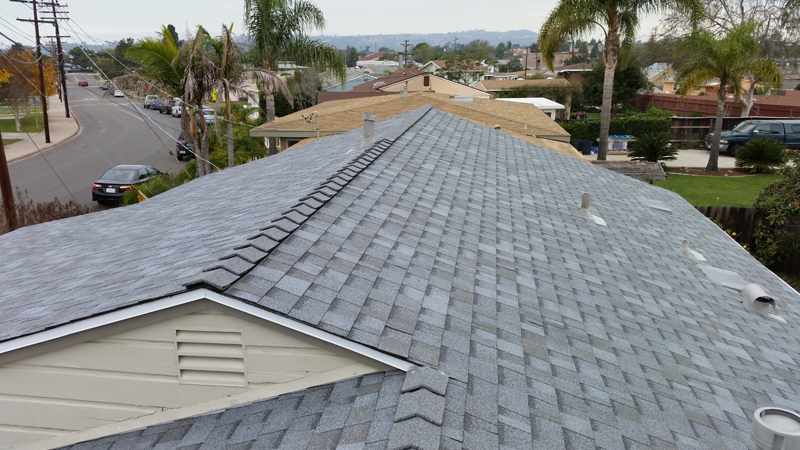 The color the customers choose was Owens Corning Quarry Grey asphalt roof shingles. 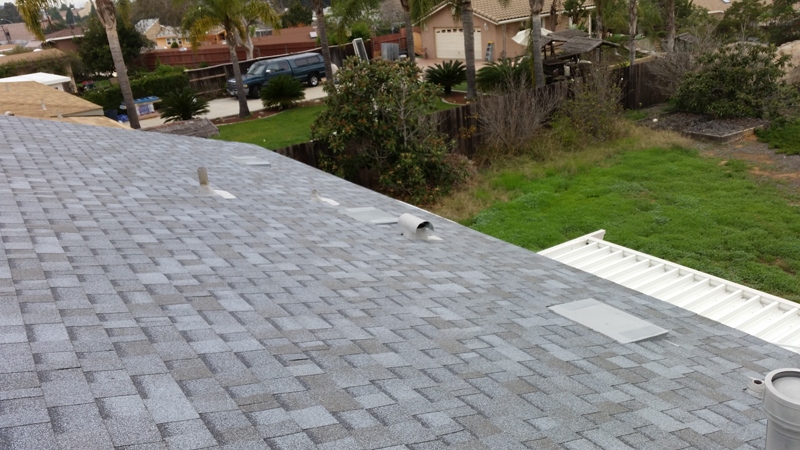 We also provided proper attic ventilation by increasing 288 square inches of intake vents and 288 square inches of exhaust ventilation to make sure the attic space stays plus or minus 5 degrees of the outside temperature. 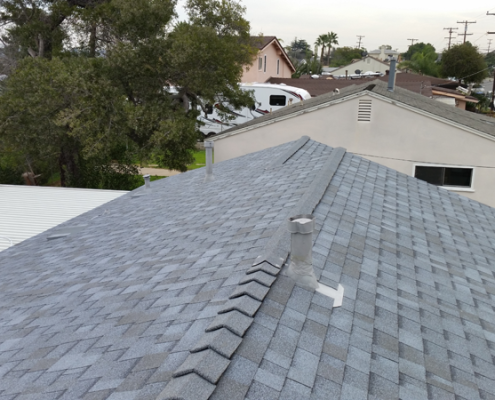 "Robert was very knowledgeable and explained in every details when he did the inspection and recommendation on our roof. Overall comments: Prompt response and follow up. They replaced our roof in one day, a house of 900 square feet plus single car garage. The demolish team was so good and efficient, no debris was left behind, the house and surrounding are clean like nothing has happened."